The recession and slow pace of economic recovery have taken a heavy toll on the finances of individuals in South Florida and throughout the country. With many finding themselves forced to file for bankruptcy, the wave of personal bankruptcies has exacerbated the financial difficulties at condominium associations and HOAs that were already struggling with their collection efforts due in large part to the foreclosure epidemic. As a result, the community association lawyers in South Florida at our firm and throughout the state have been working closely with their clients to help them to contend with unit owners who seek bankruptcy relief. 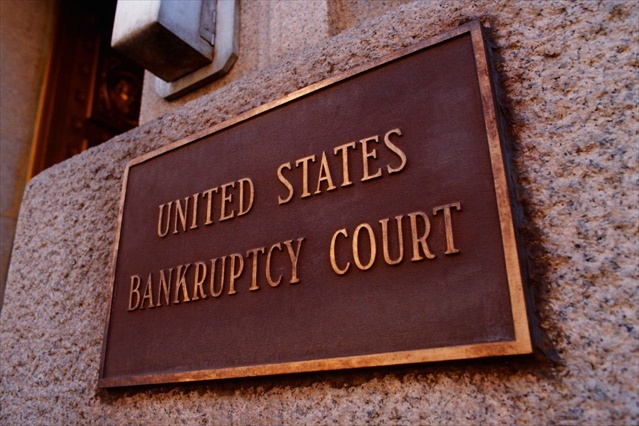 Typically, there are two types of personal bankruptcies that unit owners may file: Chapter 7 and Chapter 13. When an owner files bankruptcy, the “automatic stay” is triggered upon filing which requires that all collection efforts by any of the owner’s creditors must immediately cease. That means if an association is in process with a lien foreclosure action at the time when the unit owner files bankruptcy, then the foreclosure action must come to a halt unless and until the bankruptcy court authorizes the foreclosure to be reinstated during the pendency of the bankruptcy case. In Chapter 7 bankruptcies, the unit owners will either stay current with their payments to their mortgage lender and the association in order to keep their residence, or they will cease making their payments and give up possession and title to the residence to their lender. If the owner is delinquent at the time of the filing for bankruptcy, then the association may request what is called “stay relief” from the bankruptcy court in order to either proceed with or commence a lien foreclosure action against the unit. However, the bankruptcy filing will prevent the association from obtaining a money judgment against the owner if the owner receives a Chapter 7 discharge of his or her debt to creditors. For an individual to receive a discharge of his or her obligations in a Chapter 7 bankruptcy, the process takes approximately four months. However, should the owner attempt to remain current with the obligations to the association in order to maintain ownership of the unit, once the discharge is entered, the “automatic stay” against collection actions is removed and the association may undertake a lien foreclosure and collection action against the owner should the owner become delinquent in payment post-discharge. In Chapter 13 bankruptcy filings, the process is designed to afford the owner the ability to “catch up” and save their home by curing all arrears due to their mortgage lender and the association through a repayment plan. Usually, the repayment plan lasts five years and the owner is required to cure the arrears within the five year plan and pay all of the regular monthly maintenance and special assessment payments that come due after the date of the bankruptcy filing. The five year plan proposed by the owner must receive court approval. An important and perhaps difficult note for associations in the Chapter 13 process is what is commonly referred to as “lien stripping.” If the owner’s unit is determined by the bankruptcy court to have a value less than what is owed to the first mortgage lender, then Chapter 13 allows the owner to “strip off” and avoid all junior mortgages (second mortgages and/or home equity lines of credit) and any association lien that existed of record at the time of the bankruptcy filing. While this appears as a harsh result to associations, the one element in the association’s favor is that the owner must pay all maintenance and special assessment payments that come due from the date of the bankruptcy filing forward. In other words, despite the avoidance of the junior liens, if the owner elects to retain ownership of the residence, then the owner must start paying the monthly association fees and mortgage payments going forward from the date of the bankruptcy filing. For the community associations with unit owners who file for Chapter 7 or Chapter 13 bankruptcy, it is essential that they work with a qualified and experienced bankruptcy attorney who can guide them through the collections process for these individuals. Our attorneys will continue to monitor and write about community association matters, and we encourage you to submit your e-mail address in the box on the right in order to automatically receive all of our future blog posts.